When visiting the famed area of Asakusa and the Sensoji shrine you're bound to work up an appetite! Luckily, Nakamise Shopping Street and the side streets around it, have a plethora of amazing street foods to choose from. I decided to make a day of this the last time I visited. Come HUNGRY because there are so many different things you NEED to try! This one area offers up so many traditional Japanese street foods, each one costing only a dollar or so. 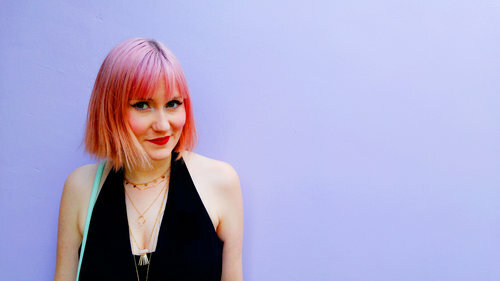 You can easily spend under $15 for an entire 10-course meal! There are plenty of food tours of this area, but it's so easy to do it yourself. While going with a guide is a great way to ask questions and find out more from a local's perspective, doing it on your own means it's up to you to find your way around and interact with the locals yourself. A map to all the different locations can be found at the bottom of this post so it’s so easy to get from place to place. To make your way to Nakamise street just take the metro to Asakusa station by way of the Tokyo Metro Ginza Line or Toei Asakusa Line. Look for signs in English for "Nakamise Street" and you'll pop out right in front of the Karimon Gate, the entrance to Nakamise street. Nakamise Street is over 100 years old and 250 meters long. The name means “inside street”, as the road is technically located within the temple grounds. These days the shops mainly sell different types of souvenirs, and although you might seem dubious to buy anything here since it looks like a tourist trap, I found that the prices here were more than reasonable! These shops have offered up traditional Japanese handicrafts for more than a hundred years. So don’t be afraid to pick something up! I’m not saying you’ll get the best deal, but by no means are you paying top dollar. But what you're really here for is the FOOD! And there is plenty of it. Start your street food adventure with Kibi Dango! This place serves up freshly made sweet and savoury Dango! Dango is a mini round mochi ball (made from pounded out rice) which is topped with various different toppings. The most popular and traditional is the soybean powdered ones which are perfectly sweet without being overpowering. Grab a cup of green tea to go alongside for the perfect combo. Asakusa Kagetsudo is to-go place for the infamous melon-pan (melon bread). This store has been open since 1945 and is so popular that its house are "open till sold out". And trust me, it happens quicker than you think. If you stop here mid-afternoon you'll be sorry to find that "closed" sign posted up on their shudders. Melon-pan is a sweet bread, which actually doesn't have any melon in it at all, but is named as such due to the fact that it's outer later once baked resembles the texture of a melon. The bread is delicious on its own but even better when served with ice cream in the centre in the summertime. Head over to Asakusa Kurikoan for their soft and warm Taiyaki filled with premium matcha cream. 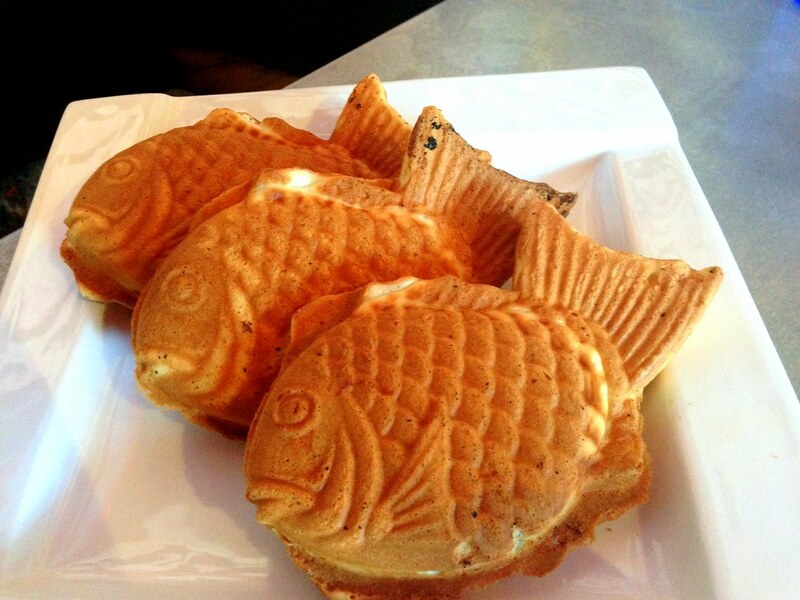 Taiyaki is a popular Japanese treat made with a pancake-like batter which is poured into a mould in the shape of a cute fish. It's then filled with a variety of fillings like chocolate, vanilla custard or the best of them all, matcha! Head off from the main street across towards Sekine for some hot and fresh dumplings! 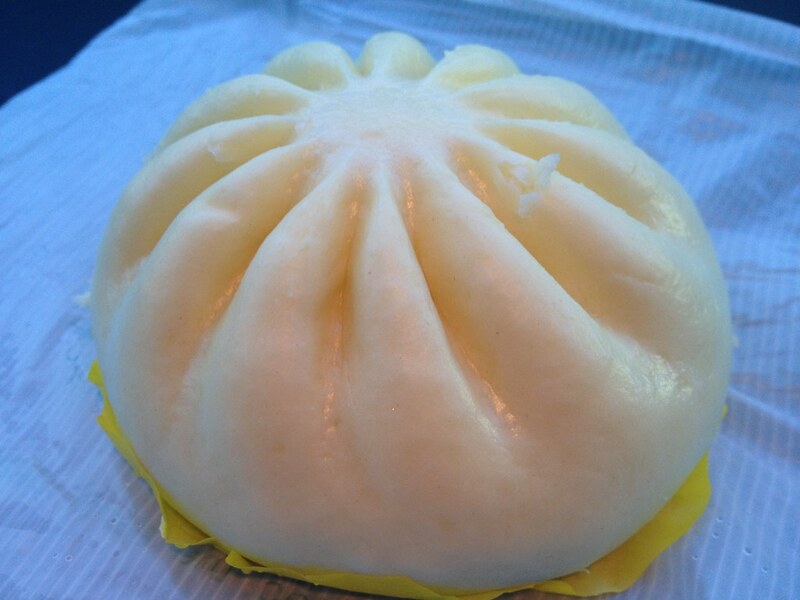 Sekine serves up Nikuman which are soft buns filled with pork and vegetables. These are incredibly big and filling so if you're planning to hit up all the different places on this list you can easily split one between two people if you're not huge eaters. Iriyama Senbei located down the street from Sekine is a nice and light contrast to the heavy, rich buns. This shop has been open for over 100 years, serving the classic senbei rice crackers. Made from rice and mixed with sugar and syrup and flattened into a dough like texture where it is then cut into perfect circles. This shop ages the dough for three days in the sun before they're then broiled over top of some burning coals to cook, giving them a distinct roasted flavour. What makes these so popular on this street is that legend has it that the senbei were invented in Asakusa and first sold right here under the Thunder Gate. There are dozens of different flavours of crackers, from sweet, to savoury to super spicy. My favourite was the sweetened seaweed which not only had a lovely flavour but a Price: beautiful colour from the crispy seaweed. These crackers are a little pricier than the other ones you'll find on the main street but they are thick and much deeper in flavour than their skinnier cousins. Up the street, along a quiet lane, you'll find my two absolute favourite things to eat! The first is menchi-katsu, which is a fried meet croquette served up piping hot! This place gets quiet the queue around lunch time as the shop is no more than one meter wide but the line moves quickly as they dole out the crispy treats. Toyofuku Curry Bread serves up crispy on the outside, soft and chewy on the inside, curry pan. Curry pan can be found all over Japan and is fried bread filled with different flavours of curry. You can choose spicy or non-spicy, although my preference and recommendation would for sure be the spicy version. The bread frys up so nicely that these incredible puffs of fried dough dot the exterior of the treat. These are especially good if you're visiting on a cold day! One of the oldest shops on the street is Umezono, which has been open since 1854! They make traditional Japanese sweets, all of which can be viewed in a display case outside the shop. These plastic treats in the window are exquisitely painted and look almost more authentic than the real thing. The inside has a cafe where you can sit down to eat but we're here for street food and their most popular offering is the dorayaki. Dorayaki is a soft pancake dessert made of two patties wrapped around a filling of sweet Azuki red bean paste. You can get these in convenience stores all over Japan but none of them compares to the fresh and delicate textures you'll find in this shop. During the fall they even have a seasonal filling of mashed sweet potato and chestnut which is UNBELIEVABLE! Another take on the sweet batter filled with red bean can be found at Kimura Ningyōyaki. 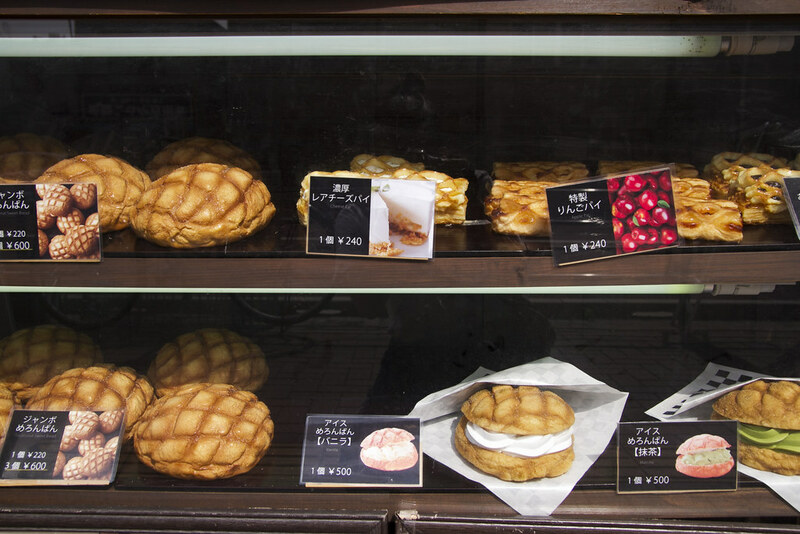 This shop makes Ningyo Yaki or "doll cake" which is a sweet cake filled with sweet red bean. But this time the batter is formed into the shape of a bird, a cat, an anime or cartoon characters or even a geisha doll. This shop's kitchen has a window on the street where you can watch the cooks make the pastries at world record speeds! Our last stop on the tour is at Age Manju. This shop has some of the friendly old ladies working there I've ever met. We might not have been able to speak the same language but they chatted with me for awhile as I chowed down on a few different of their offerings. "Age" means deep-fried and "manju" is a Japanese snack which is typically mochi stuffed with a particular filling. This shop has over a dozen different flavours but my favourite HAS to be the Sakura. It's is cherry blossom flavoured and even wrapped in a cherry blossom leaf for extra authenticity.